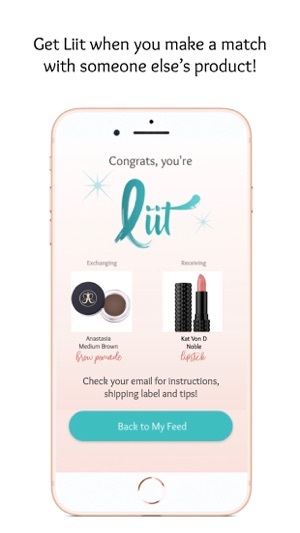 Liit is a simple, addictive and fun way for you to swap unwanted makeup for new with adventurous beauty lovers like yourself! Get Liit and get swiping! 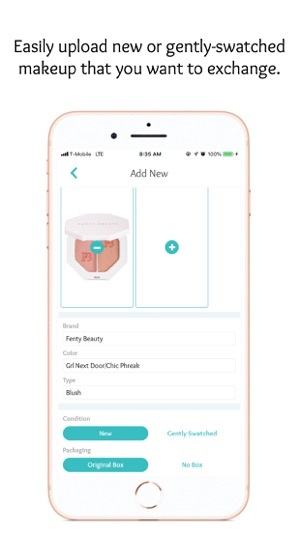 Connect with your love of makeup, need to offload your failed makeup purchases and desire to know what’s hot in your beauty community through a simple and unique exchange experience. We make it easy to upload your new or gently-swatched makeup while checking out other beauty lovers' products for exchange. In a "Tinder-esque" experience, you connect when you both like each other's product and the exchange begins! Liit coordinates the shipping and before you know it... you're LIIT!